There was supposed to be a recipe to go with this post, and I had intended to make something really fresh and springy – I even bought the groceries. But then a day’s worth of errands and distractions got in the way, including a trip to the mini-spa near my place to get my eyebrows done so I look slightly less unkempt for my job interview tomorrow. The lady with the brow wax thought my eyebrows looked a little pale (maybe they’re not feeling well?) so she said she’d tint them for me, and now I look like a sinister Muppet and I’m sulking. So there is nothing special to report on the topic of tonight’s dinner. But that’s okay. Because reading and re-reading your answers to the question of what is the best thing you’ve ever eaten, grown, or made has been more delightful than anything I might have cobbled together tonight. Warm tomatoes and summer berries plucked fresh from the gardens and wild bushes of your past, bread and gingerbread you made yourself, your magical first Hollandaise sauce, marmalade and strawberry jam, meat pies and tarts and sausage rolls, Chicken Tikka Masala, and the best hot chocolate or buttermilk fried chicken ever – we would have the best potluck dinner party, you know. And I’m glad I decided to pick a winner at random, because you didn’t just tell me what you ate, but why, and even when, and your stories were wonderful and I couldn’t just pick a favourite, not like that. 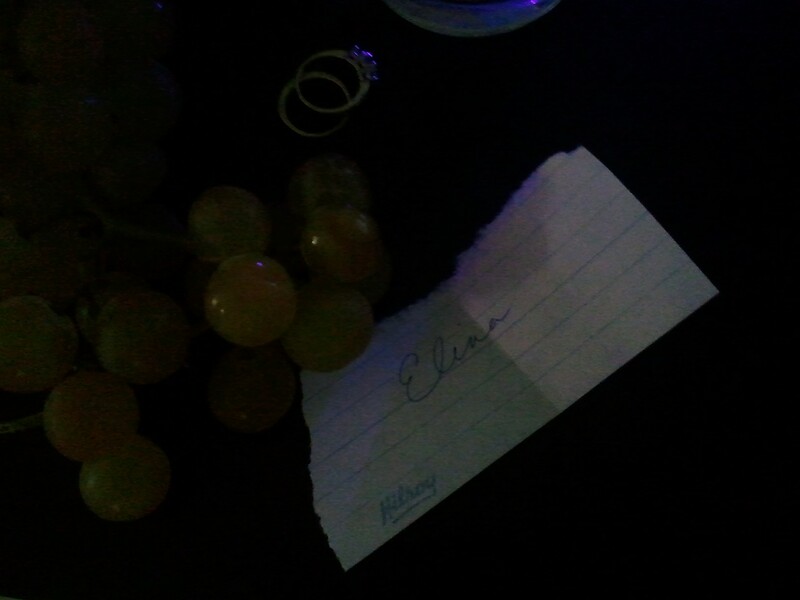 So the winner is Elina, who’s name I pulled out of Nick’s grubby green hat. Elina, send me your mailing address and I’ll ship the book off to you. You can email me at emily (dot) wight (at) gmail (dot) com. Thanks again for participating! We’ll be back to our regularly scheduled programming once the intensity of my new eyebrow colour fades and I get myself to the market. < Previous New soil to till. I was so intrigued by your comment on “The Home Pantry” that i went to her blog, looked at her book and promptly bought it. I didn’t want to enter the contest since I wanted to be sure I got the book!! I am sitting right now in my kitchen, reading the book with tea and a wonderful oatmeal cookie(made from another favorite cookbook “Flour”). I have already made Alana’s homemade pop tarts which were wonderful and “virtuous” being entirely from scratch (I know, really? a virtuous jam filled pastry?). I look forward to finding my next “Homemade Pantry” recipewhile I’m sipping my tea, Thanks for your wonderful blog – it is quietly uplifting to share your world. Sheri – thank you very much! Your comment made my day, and I am glad you love the book – I agree those pastries are virtuous – we could claim sustainability if the jam is homemade, maybe? Tracy – thank goodness! I look like Sam Eagle, who is not the prettiest Muppet.